In the new Turn Off the Lights Browser extension you can Zoom in on YouTube video. With one click on the button you can edit the video frame and it still continue to play this video. 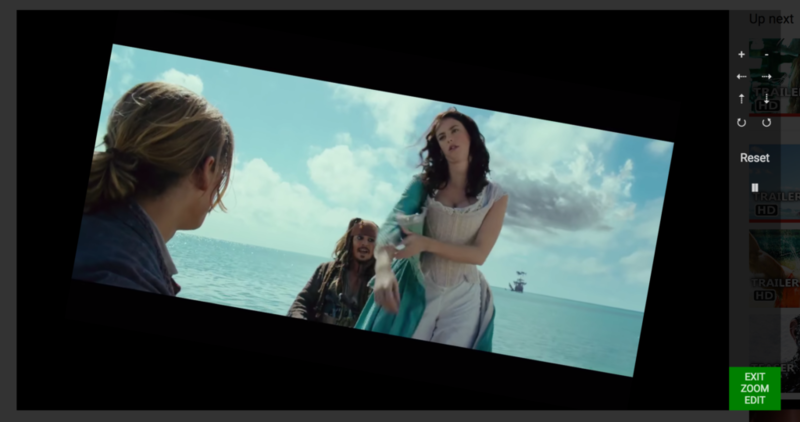 There is not freeze frame, and you can easily reset it to the original scale and position. 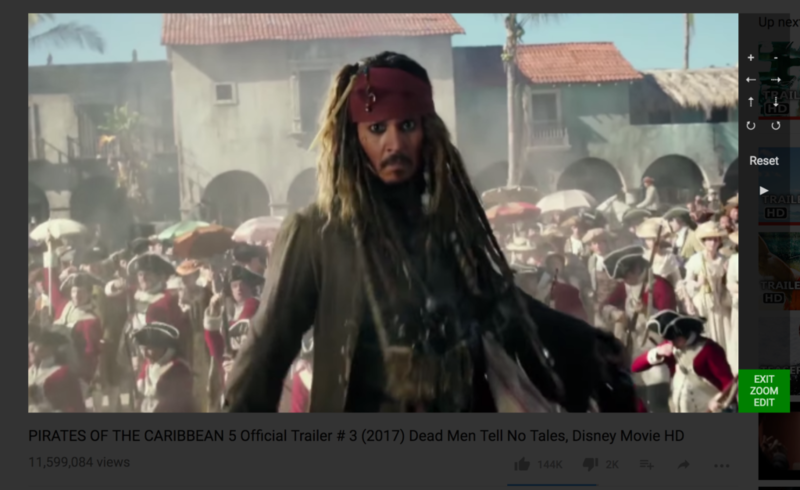 Here below you see few screenshot that zooms in the Pirate of the Caribbean movie trailer. There is also the possibility to rotate the video from a 5degrees to left and right. This by clicking on the rotate button in the right sidebar.